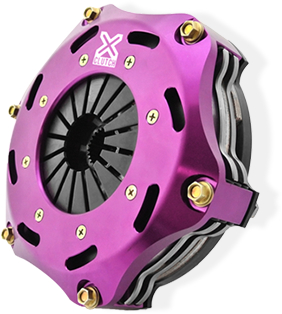 This web site has been created by Australian Clutch for the express purpose of promoting its products and services to the public. All parts of this website are only for an individual's viewing and no material, either content or visual may be used; in part or whole, except with the permission from Australian Clutch . Australian Clutch monitors the quality of the information available on this web site and updates the information regularly. However, Australian Clutch does not guarantee, and accepts no legal liability whatsoever arising from or connected to, the accuracy, reliability, currency or completeness of any material contained on this web site or on any linked site. Australian Clutch recommends that users exercise their own skill and care with respect to their use of this web site and that users carefully evaluate the accuracy, currency, completeness and relevance of the material on the web site for their purposes. This web site contains links to other web sites that are external to Australian Clutch's web site. Australian Clutch takes reasonable care in linking web sites but has no direct control over the content of the linked sites, or the changes that may occur to the content on those sites. It is the responsibility of the user to make their own decisions about the accuracy, currency, reliability and correctness of information contained in linked external web sites. Australian Clutch applies a range of security controls to protect the Australian Clutch website from unauthorised access. However, users should be aware that the World Wide Web is an insecure public network that gives rise to a potential risk that a user's transactions are being viewed, intercepted or modified by third parties or that files which the user downloads may contain computer viruses, disabling codes, worms or other devices or defects. Australian Clutch accepts no liability for any interference with or damage to a user's computer system, software or data occurring in connection with or relating to this web site or its use. Users are encouraged to take appropriate and adequate precautions to ensure that whatever is selected from this site is free of viruses or other contamination that may interfere with or damage the user's computer system, software or data.